When patients are sick or in pain, the last thing they want is to feel like a number instead of an actual person. But too many times a patient’s experience feels routine and impersonal. A recent survey found that what both patients and doctors want is a better doctor-patient relationship. Patients want their doctors to take the time to listen to them and address their problems instead of rushing through their appointment to get to the next patient. Taking the time to actually talk with and listen to each patient not only improves their experience but also helps provide higher-quality care with better results. Patients crave personalized, tailored interactions. There’s a lot of talk in healthcare about using the best and newest technology. 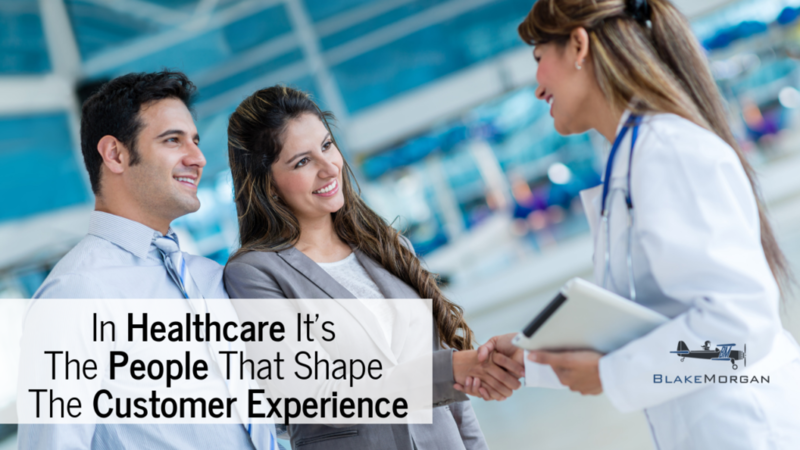 You can put the fanciest technology in the patient experience, but it’s still the people who matter most. When I went into labor with my daughter, I was scared, in pain and just done being pregnant. The nurse and doctor who helped me through the process were lifesavers and people I will always remember. The nurse put me at ease with her friendly demeanor. It was clear she enjoyed her job and was good at it. With their help, I had a great hospital experience. I don’t even want to think of how different my labor and delivery would have been if I had nurses and doctors who were grumpy or mechanical. Every patient experience should be different and unique. Instead of processing patients in the exact same way and moving them along a conveyer belt, people in healthcare should focus on finding ways to solve individual problems and put each patient at ease. Take a look around your organization—do your people have energy? Are they willing and excited to help each patient? Or are they worn down and simply going through the motions? Working in healthcare can be draining. It’s up to healthcare leaders to give their employees the tools and schedule they need to be energized and alert so they can provide personalized service to every patient. Because when it comes down to it, the biggest factor in a patient’s experience is the people who are there to take care of him.